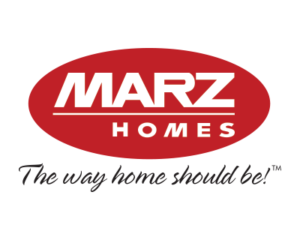 The Newest Community on Hamilton's West Mountain! Ready to learn more? Call us at (905) 667-8849.
for VIP Pricing and Information!  Chedoke Heights, the newest community on Hamilton’s West Mountain, features Luxury Bungalofts, 2 and 3 Storey Towns. Located on a historic property, residents will be able to enjoy a sense of balance with access to many activities and wonderful amenities. Enjoy all that matters in life, it’s time to find yourself at Chedoke Heights. Pre-register now! Chedoke Heights…Life in balance. Chedoke means Seven Oaks, a first nations reference to an early landmark in an area abounding in natural beauty. Since 1906, this site has been known as a place for healing. This area features great outdoor spaces including the escarpment, trails and recreational facilities for you to enjoy activities that encourage both physical and mental wellbeing. It’s all located right in the neighbourhood. This dynamic neighbourhood is well served with the convenience of nearby amenities including shopping, dining, schools, art and culture. 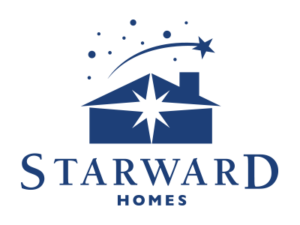 It’s a wonderful place to call home – offering a great opportunity to share with old friends while making new ones. Relax, unwind and rejuvenate on these historic healing lands. Cheodoke Heights is the ideal setting to nurture your soul, practice mindfulness and experience tranquility. The Hamilton West Mountain is a vibrant, diverse and welcoming area. You’ll be part of a collective that builds a sense of community – one where it’s residents flourish. Historic locations like this provide a natural setting to expand culture. Take advantage of the thriving arts community in Hamilton by exploring, experiencing and embracing new things in this ideal setting. The location, amenities, history and healing tradition of this area will help foster a sense of balance in your life. It’s the perfect area to find just what’s right for you. Copyright © 2019 Chedoke Heights. All Rights Reserved.